Margarita Mena, 60, stops traffic for pedestrians in San Francisco’s Tenderloin neighborhood on April 24, 2018. 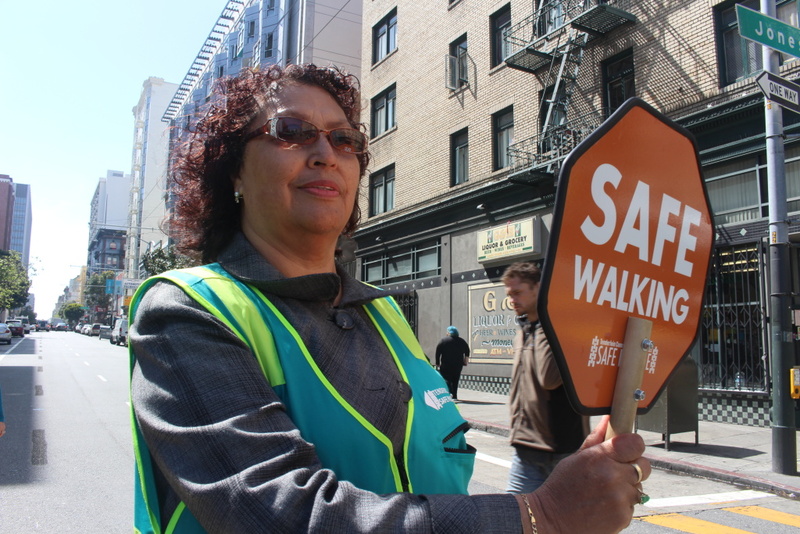 Mena, a Tenderloin resident, helped start the Safe Passage program. 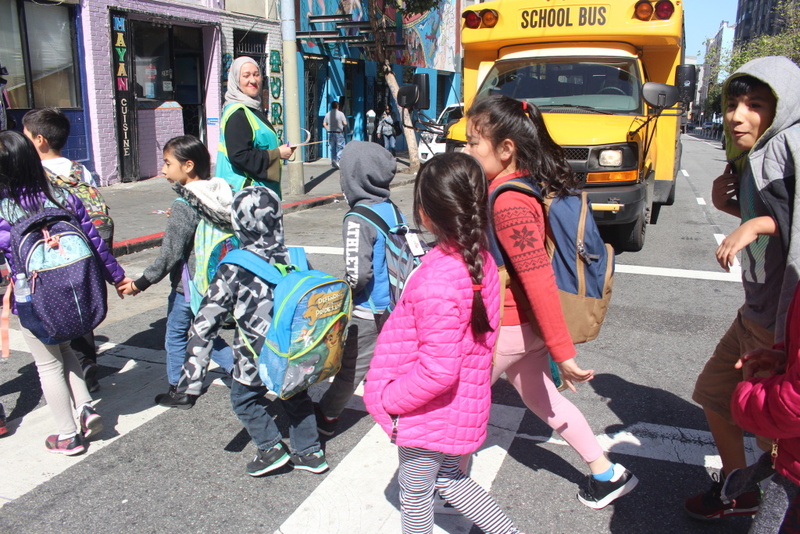 Safe Passage volunteers, most of whom are Tenderloin residents and parents, are now familiar faces to eight-year old Diana Eusebio. “The Tenderloin is this place that’s really empathetic and supportive that didn’t cause all these issues to happen,”said Conry.